IHH's 9M18 core net profit jumped 66% y-o-y; revenue and EBITDA rose 18% and 23% y-o-y on constant currency basis. Option to founder of Acibadem and capitalisation of US$250m equivalent of subordinated loans is expected to be completed by end-2018. Expect completion of Fortis Healthcare related acquisition offers by end-2018/1Q19. Gleneagles Chengdu opening delayed to 2H19; Gleneagles Shanghai to open in 2H20. 9M18 core net profits (excl TRY forex translation losses) up 66% y-o-y. IHH's 9M18 headline net profit fell 86% y-o-y to RM118m, largely impacted by higher exchange translation losses following the sharp depreciation of Turkish Lira (TRY) especially in 3Q18 and the absence of one-off RM555m gain from the disposal of its stake in Apollo Hospitals which was recognised in 1H17. This is partially offset by foreign exchange gains (approximately RM23m) arising from the strengthening USD on the group’s USD-denominated cash balances in 9M18. Excluding exceptional items (including TRY and USD forex losses / gains), core profit jumped 66% y-o-y to RM686m, which was mainly due to foreign exchange gain arising from the strengthening USD on the group’s USD-denominated cash balances in 9M18 and some one-off items recorded in 2Q17 such as RM21.3m accrued interest expense for capital gains tax payable and RM17.7m additional tax provision relating to prior-year’s tax. Excluding these one-off items, net profit is estimated to have expanded by c.34% y-o-y. 3Q18 registered headline loss of RM104m vs RM82m net profit in 3Q17, largely impacted by higher exchange translation losses of RM753m following the sharp depreciation of TRY. 3Q18 core net profit grew 146% y-o-y to RM309m. 9M18 revenue and EBITDA on constant currency basis grew 16% y-o-y and 17% y-o-y respectively. 9M18 revenue grew 1% y-o-y to RM8.4bn with growth mainly from Malaysia (+8% y-o-y) and North Asia (+54% y-o-y largely from Gleneagles HK). However, Singapore (-1% y-o-y) and Acibadem (-3% y-o-y) were impacted by the strengthening of MYR on translation of their respective results. On constant currency basis, 9M18 revenue increased 17% y-o-y with growth from all markets except India. 9M18 EBITDA grew 5% y-o-y to RM1.8bn, in line with our FY18F EBITDA estimates but slightly below consensus. The EBITDA growth was largely from Malaysia (+7% y-o-y), Singapore (+4%), Acibadem (+6%) and lower losses from Gleneagles HK (-37%). On constant currency basis, EBITDA increased 17% y-o-y with growth from all markets. On constant currency basis, 3Q18 revenue and EBITDA grew 18% y-o-y and 23% y-o-y respectively. EBITDA margins improved q-o-q from all key markets. EBITDA margins (ex-PLife REIT) improved q-o-q to 19.6% from 17.5% in 2Q18. Similarly, EBITDA margins (ex-new hospitals; ex- PLife REIT) improved q-o-q to 21.6% from 19.5% in 2Q18. There was improvement in EBITDA margins in all key markets, partially helped by the recognition of RM20.4m acquisition-related expenses (Fortis Healthcare acquisition) in 2Q18. Gleneagles HK impacted by seasonality; target to expand its outreach to Chinese patients from 4Q18 onwards. The EBITDA losses of Gleneagles HK increased marginally to RM49.4m vs RM42.7m in 2Q18 and RM47m in 1Q18. The marginal increase in losses was partially impacted by seasonality as demand in the summer months is the slowest in the year and additional costs are incurred as it continues to roll-out to multi-disciplinary medical practices. Management will roll out its outreach to Chinese patients in China from 4Q18 onwards. Acibadem – strong medical tourism demand with doubling in contribution and price increase. On a constant currency basis, Acibadem’s 9M18 revenue and EBITDA grew 32% y-o-y and 44% respectively. The strong growth was partially led by strong patient volume growth (+8% in 3Q18 and 44% in 9M18) and increase in average revenue per inpatient admission (APRIA) of 32% y-o-y in 3Q18. According to management, Acibadem has seen strong demand growth from medical tourism (partially led by the depreciation of TRY) driving up its contribution to 22% from 10%-11% of revenue previously. The increase in APRIA was partially led by price increase imposed on private insurance and out-of-pocket patients. Singapore – impacted by the strengthening of MYR. In 9M18, revenue from Singapore operations fell 0.7% y-o-y as Singapore recorded lower inpatient volumes in 3Q18 (- 0.7% y-o-y) from both local and foreign patients and strengthening of MYR, partially offset by 8% increase in 3Q18 ARPIA. On a constant currency basis, EBITDA grew 9% y-o-y. Malaysia – continues to show growth despite 9M18 volumes flat y-o-y. 9M18 revenue from Malaysia operations grew 8% y-o-y led by higher inpatient volumes (+3% in 3Q18; flat in 9M18) and ARPIA (+3% y-o-y in 3Q18). Management continues to expand its footprint in Malaysia with the recent acquisition of Amanjaya Specialist Centre in Kedah. India – impacted by lower volumes but offset by higher APRIA. 9M18 revenue fell 7% y-o-y on 8% lower inpatient volumes, offset by higher y-o-y APRIA (17%y-o-y increase in 3Q18 ARPIA). The weaker than expected performance was partially impacted by the departure of a surgeon and a few doctors, however, new anchor doctors have been hired. Management expects the India market to stabilise in 4Q18 and potentially record a turnaround in 2019. Expects to complete the options exercised by Acibadem founder by year-end; thus reducing risk of TYR translation losses. Given that IHH can now raise its stake in Acibadem to 90% following the exercise of options by founder Charimand and his wife, management can soon proceed to capitalise the existing US$250m equivalent of subordinated loans. Management expects to complete this by the end of the year. Post the subordination and potential divestment of non-core assets, management estimates that it could bring down its non-Turkish Lira borrowings exposure to c.US$300m from approximately US$700m, thus bringing down its exposure to TRY translation losses substantially. Obtained control over Fortis Healthcare in Nov18; expect to complete acquisitions by end 2018 / 1Q19. 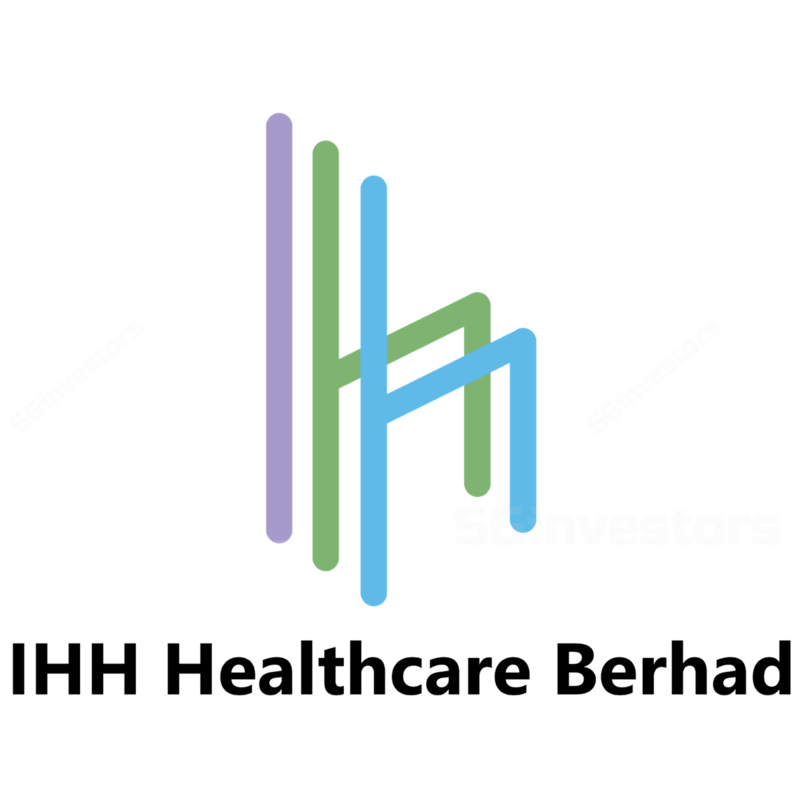 IHH obtained control (31.1% stake) in Fortis Healthcare on 13 Nov 18. Subsequently, it has made an open offer to acquire up to 26% stakes in Fortis Healthcare and Fortis Malar. Management expects to complete the acquisition (including the offer to acquire all assets under RHT) by year-end. Gleneagles Chengdu to open in 2H19 (previously 1H19); Gleneagles Shanghai to open in 2H20. Gleneagles Chengdu is expected to open by 2H19 (previously 1H19) with 80 to 100 beds for a start. Gleneagles Shanghai is expected to open by 2H20. Management expects to see increased pre-operating costs typically 3 months before opening when the hiring of doctors, nurses and staff occurs. Potential forex translation losses writeback with the strengthening of TRY post the sharp decline in 3Q18. IHH could potentially recognise a writeback of forex translation loss in 4Q18 given the strengthening TRY post the sharp decline in 3Q18. This could potentially mitigate some potential net losses from the consolidation of Fortis Healthcare (this has yet to be factored in our estimates). Maintain BUY, Target Price to RM6.35. We maintain our BUY rating and target price of RM6.35. IHH currently trades at 17x FY19F EV/EBITDA, close to 2 standard deviation below its historical average. While there may be potential near-term headwinds from forex fluctuations (as seen in the recent sharp depreciation of TRY), we remain positive on IHH’s long-term growth plans, with a pipeline of new hospitals in China and a potential escalation of expansion into India. We believe the ramp-up in Gleneagles HK and better economic prospects in home countries such as Malaysia and Singapore could offset some of the start-up losses in China and lead IHH into its next phase of growth. IHH’s medium-term outlook is bright while it rides out its near-term headwinds and gestation period for the new hospitals. In addition, with a potential strong platform in India and another in China, IHH now has exposure to the two largest economies in Asia with the highest growth potential in the healthcare sector. We believe this further elevates IHH’s long-term potential. We have yet to factor in the consolidation of Fortis Healthcare post the acquisition.